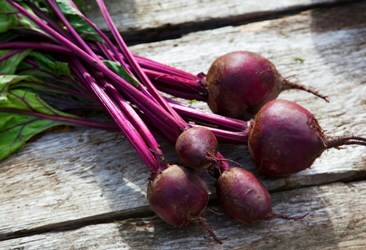 Beetroot is the bulbous tap root of a plant known as beet. The root of the beet plant tastes sweet and the leaves have a bitter taste. Beetroot has a thin rough outer skin. Inside it looks a little bit like an onion – a very red or purplish onion. Some varieties are also white or golden in color. Historically, beet has been used as a medicinal plant touted as a cure or treatment for various diseases. More recently, the root has been used to treat various ailments including high blood pressure, erectile dysfunction and sexual weakness. Raw, fresh Beetroot can be obtained from most Grocery stores and major grocery chains accross the US and Canada and in European countries.